THE New South Wales Government has allocated $3.1 million in funding for a new rail crossing at Henty, which will give safer and more efficient access to trucks delivering to GrainCorp’s Henty West site adjacent to the southern New South Wales town. Member for Albury Greg Aplin announced the funding for the crossing, which will link the Olympic Highway, the main thoroughfare between Wagga Wagga and Albury, to the GrainCorp site. This supplements the Federal Government funding announced last year for the new crossing under the Heavy Vehicle Safety and Productivity Program, and Greater Hume Council’s commitment to the project. The new crossing at Grubben Road, 800 metres north of the current unprotected crossing, will have signals and boom gates, while a 1.2-kilometre Olympic Highway realignment will enable B-triples to safely cross the Sydney-Melbourne railway line. “Locals know that large numbers of grain trucks drive through Henty because they are too long to safely use the current Williams Crossing, regardless of whether they are travelling north or south along the Olympic Highway,” Mr Aplin said. “The $3.6m in Federal Government funding secured for this project…will also allow suitable stacking distance for heavy vehicles between the railway line and the Olympic Highway, to provide a more efficient and safer access point to the town’s local grain storage facility,” Federal Member for Farrer Sussan Ley said. NSW Deputy Premier John Barilaro said the new railway crossing would also provide economic benefits to the region. “The Olympic Highway realignment will reduce truck travel times on approach to the GrainCorp facility, complementing the company’s plans to upgrade its onsite infrastructure to improve truck unloading and train loading times,” Mr Barilaro said. 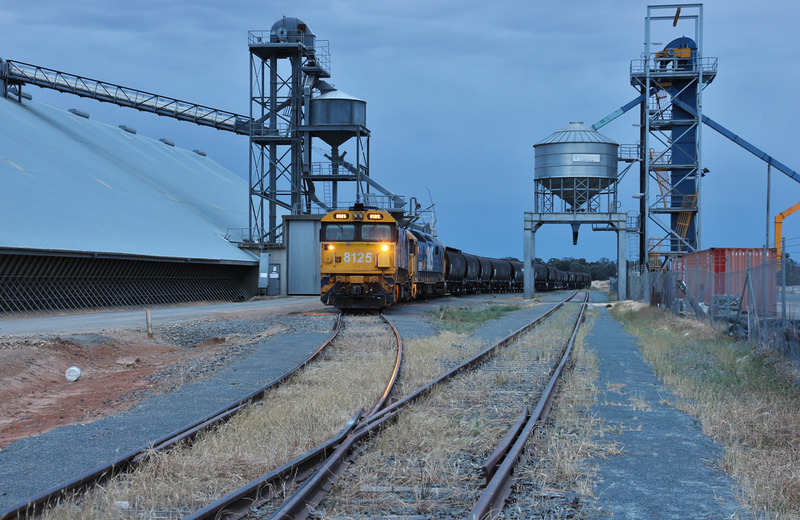 “This means higher productivity and greater grain movements at a facility on the Inland Rail route, which in turn will lead to increased revenue and job opportunities. NSW Government funding for the new crossing has come from its Regional Communities Development Fund. GrainCorp has welcomed the latest funding announcement, and its general manager of operations Nigel Lotz said the new crossing would improve safety for the community and deliver productivity benefits, and builds on GrainCorp’s recent expenditure at the site. “The new direct access to the site will make the site more efficient by reducing road freight costs for growers,” Mr Lotz said. “It will also have flow-on benefits for the broader community, as it will substantially reduce the number of trucks travelling through town. Mr Lotz said GrainCorp was grateful for the support the new crossing had received from the NSW and Federal governments, the Greater Hume Shire Council as project leaders, and Henty West silo-committee chairman Graeme Scholz and local growers. GrainCorp’s Henty West site has a capacity of 200,000 tonnes and employs three full-time staff. In an average harvest, the site also employs around 20 casuals.